When I started seriously herping over a decade ago, my goal was to find every single species that occurs in my home state of Michigan. Being a snake guy, the primary part of that goal was to find every single snake species that occurs in the state. 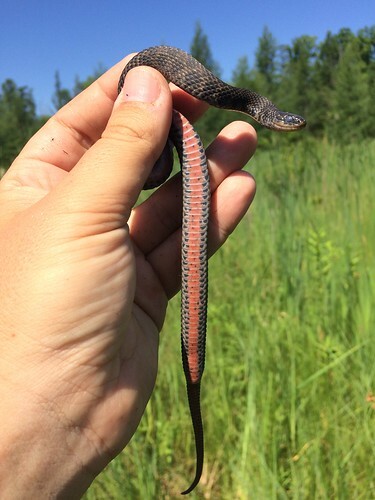 Of the 18 snakes found in Michigan, there were two species that would be the most difficult; the Copperbelly Water Snake and Kirtland's Snake. I was able to get the Nerodia a few years ago after some research and permission from a private landowner, but that's an equally entertaining story for another day. So one snake remained, Clonophis. 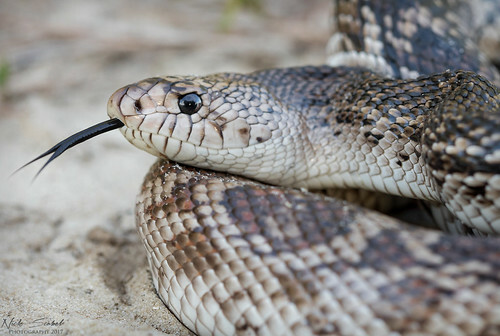 Kirtland's snakes were historically found across the southern two tiers of counties in the southern lower peninsula, but have since disappeared across most of that area and across much of their range elsewhere. 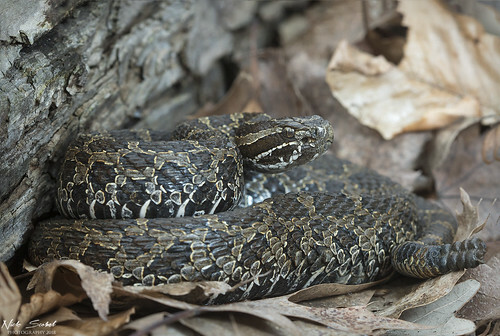 This species shares many similarities to the Eastern Massasauga, a denizen of fens and tamarack swamps that utilizes crayfish burrows as refugia and overwintering sites. Knowing this, I began to lay boards and old sheet metal over top of crayfish burrows years ago at several sites in hopes that one spring they would reveal an odd little Natricine, they never did. Several trips to sites in Indiana and Ohio were no friendlier, yielding only a shed skin or imprint in the mud. As time passed, the prospect of finding this snake IN Michigan seemed increasingly unrealistic. I thought about going further south into their range to look for them in vacant city lots in southern Ohio or northern Kentucky. But conversely, finding one in Michigan would be much more satisfying if it would ever happen. I could dream. And then during the early part of this spring, I was contacted by a friend and colleague who has spent the last few years researching this species. 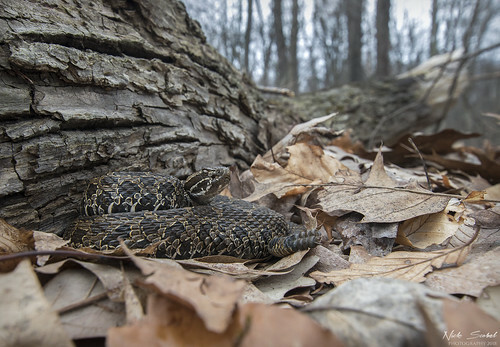 And it just so happened that his colleagues and him were coming to Michigan for a few days to search for Kirtland's Snakes to gather some data. They were kind enough to extend an invite and just like that I was on my way to a remote place to search for my white whale. 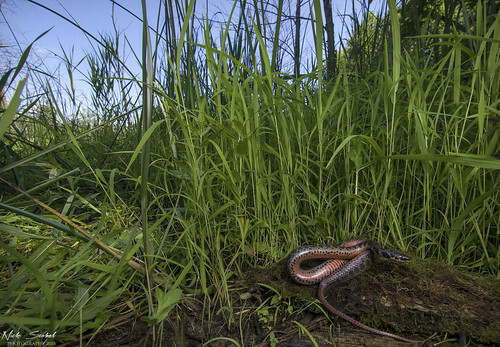 A beautiful fen complex home to the Kirtland's Snake (Clonophis kirtlandii) in southern Michigan. We arrived to our field site around nine in the morning with sunny skies and cool temperatures. A cold front had moved through the past few days following a major rain event, perfect conditions to put Kirtlands on the surface or under cover. 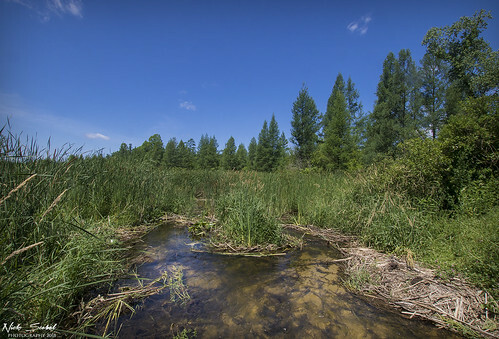 The habitat was familiar, a lowland fen complex with sedges and cattails that was bordered by stands of large tamaracks. It looked very much like many other sites I've visited in Michigan, but what was it about this place that made it special? As we traversed through the area, we began to notice quite a few Northern Brown Snakes (Storeria dekayi) basking at waist height in the sedges. 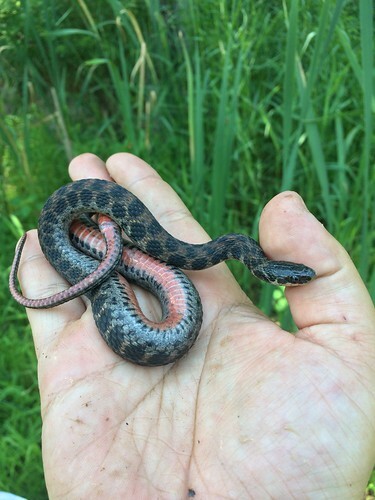 This was of particular interest because the team had found a young male Kirtland's Snake basking in the same manner. Every small snake was given an extra inspection. 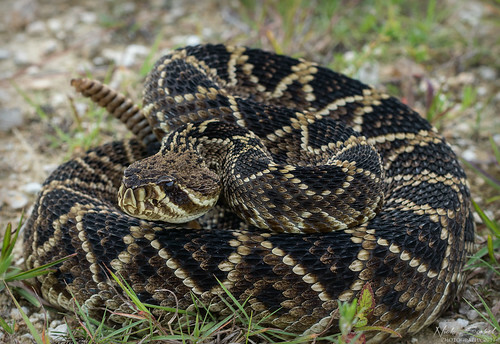 The cool weather seemed perfect for rattlesnakes. A flip of a large coverboard revealed a large shed from a massasauga, but we pushed on. We found several old, damp coverboards along the way. With each flip, the anticipation grew. Would this be the flip? For an hour or so, the boards only revealed garter snakes and brown snakes. We eventually reached the opposite side of the stream corridor after hiking through a thick stand of cattails and found ourselves along an incredible looking board line. More than a dozen damp, weathered boards were laid along the edge of some taller cattails in a low mucky spot. About midway down, a flip revealed a small rusty snake coiled in the mud. At first, I thought we had simply flipped another Storeria but as my gaze focused, I almost couldn't what I was looking at. Clonophis! There she was. A healthy adult female that was likely gravid and in excellent shape despite being deep in shed. The vibrance of her brilliant ventral scales was stunning, even more beautiful in person than what I could have imagine. I was lost in my own emotions, I don't even remember if there was yelling or what, I was just captivated by the snake. After taking admiring the snake for a few minutes, we bagged the snake up to collect morphometric data and blood samples later in the day. It should be noted that these snakes were temporarily collected under proper permits and were released the following day. As we were walking back towards the car a short while later, a second Kirtland's snake made an appearance. This snake was even larger than the first, a stunning adult female and also likely gravid. It was encouraging to be at a place where this species exists, but also appears to be doing rather well. I pulled out the camera gear and got setup to take my first photos of my last snake to see in Michigan. 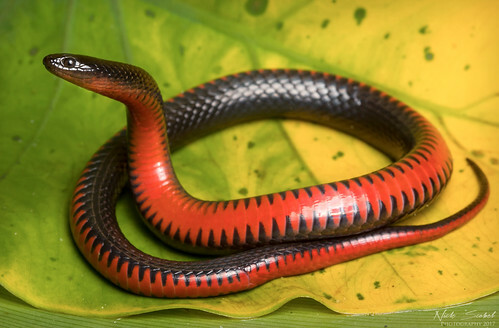 A truly stunning snake species that I hope hangs on in the few places it still calls home. 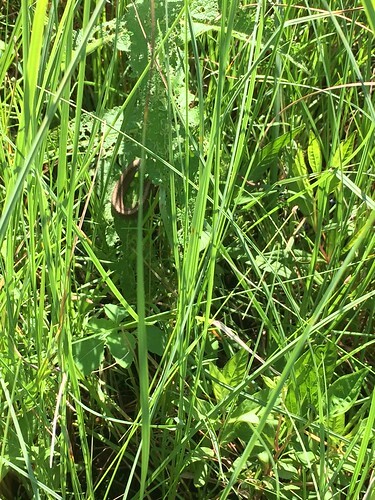 On the drive home, it was hard not to get a little emotional about finally getting to see a Kirtland's Snake. 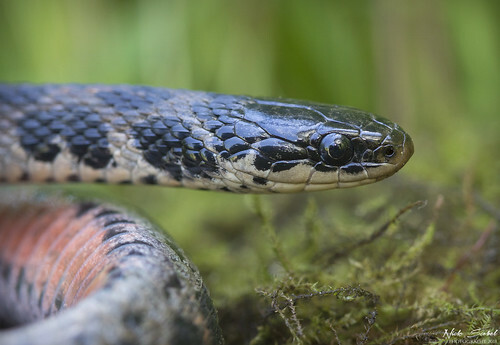 Before this day, I had likely spent hundreds of hours and traveled thousands of miles in search of this snake over the course of a decade or more. It was a long wait, but damn was it worth it. I'd like to thank the folks who allowed me to join them for the day, finding this snake would not have been possible without them. They helped this (now) old herper find a lifer he's dreamt of for many years, and for that they have my deepest gratitude. So what's left for me in the state? Two frog species and two salamander species, though the salamanders are likely extirpated. It won't stop me from looking though, hopefully it won't be a decade before I see another Clonophis. So far, the spring of 2018 has been one for the record books. In fact, it's the coldest March and April in the Great Lakes since 1936. Long periods of cold, snow, and even freezing rain have only been punctuated by a few days above 50 degrees Fahrenheit. It hasn't kept the reptiles and amphibians completely at bay though, the end of March brought a few days above freezing and eventually brought a night of heavy rain to the southern Lower Peninsula. I ventured out with a few friends in hopes of seeing the beginning of the salamander migrations. We were not disappointed as we quickly observed over 200 individuals at the first pool we stopped at. 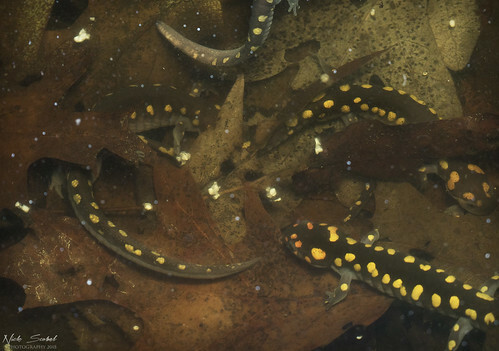 A group of male Spotted Salamanders (Ambystoma maculatum) congregate in a pool in Washtenaw County, Michigan. A gorgeous male Spotted Salamander (Ambystoma maculatum) found migrating towards its breeding pool. 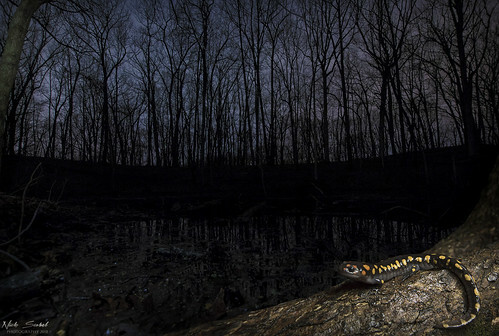 Like all Ambystomatids, the Spotted Salamander begins to migrate to vernal pools on rainy nights in the early spring to take advantage of the cover of darkness. 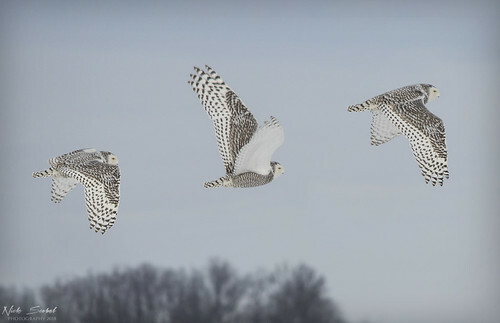 In some cases, they may travel great distances over forest ridges to reach their destination. 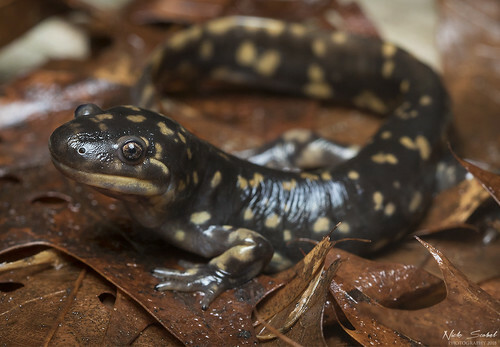 On nights like this, its possible to observe salamanders just about anywhere; swimming in the pool, hiding under logs, or crawling across the forest floor towards their pool. 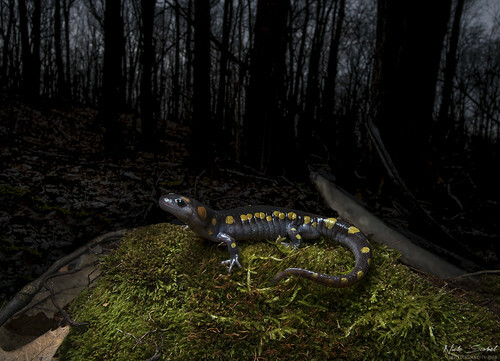 An adult male Spotted Salamander (Ambystoma maculatum) crawls across the forest floor on a rainy night. A male Spotted Salamander (Ambystoma maculatum) prepares to enter its vernal pool in southeast Michigan. It ended up being a wild few nights filled with lots of salamanders. 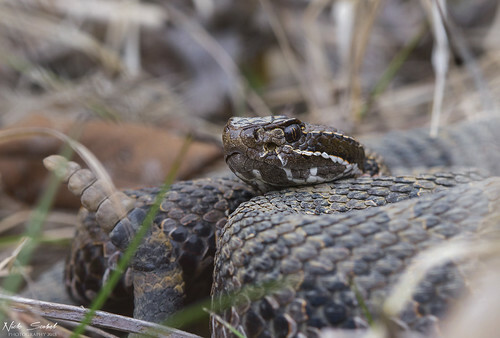 It would be the last herp activity for several weeks as the winter weather returned, even dropping 4 inches of snow in places in the second week of April. Michigan finally received some spring like weather on April 12th, with temperatures rising into the low 70s. 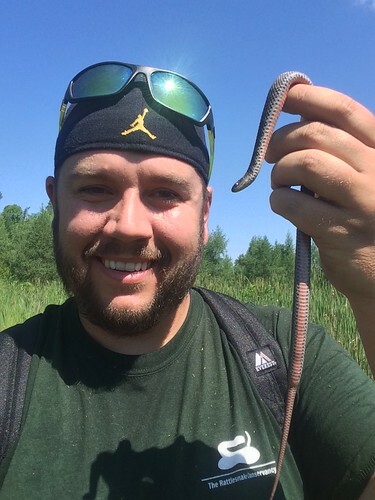 Ontario native Ryan Wolfe had asked to come out to southeast Michigan to look for snakes, so we met up mid morning and set out to find some serpents. 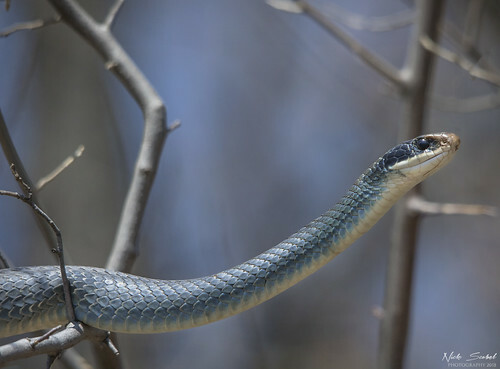 Our first target was one that is exceedingly rare in Ontario, the blue racer. We arrived to our destination and not more than a minute after exiting the car Ryan called out that he had found one. The snake was large and robust, a healthy specimen in good shape after the long winter. 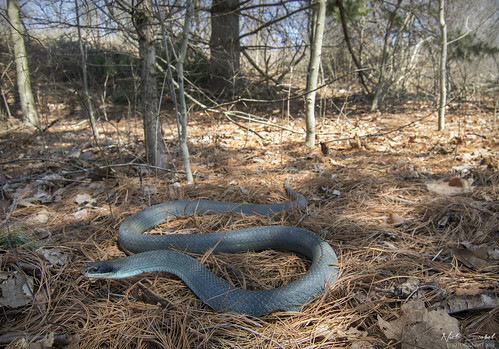 A beautiful adult Blue Racer (Coluber constrictor foxii) from a forested ridge in southeast Michigan. As we released a snake, it quickly made its way up a nearby tree. Racers aren't really considered to be an arboreal species, but they are accomplished climbers and do not hesitate to scale trees if necessary. We spotted a few more common species. A short time later, while traversing the edge of a lowland I spotted a familiar pattern coiled amongst the leaf litter. Sauga! An adult Eastern Massasauga Rattlesnake (Sistrurus catenatus) from the edge of a fen in southeast Michigan. 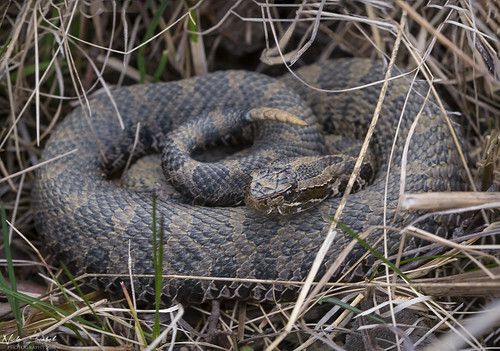 To me, nothing signals the arrival of spring like spotting the first rattlesnake of the year. This was a healthy snake, and it pulled itself into a tight coil while I took a few photos. 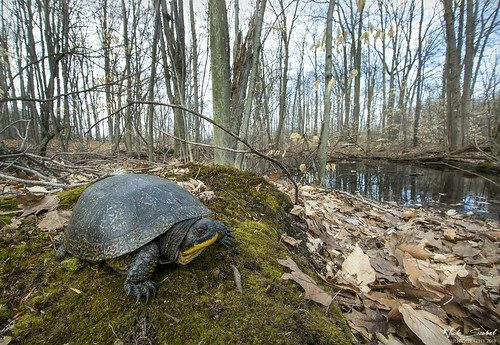 We continued on and it wasn't long before Ryan spotted a large Blanding's Turtle walking through the forest towards a vernal pool. A male Blanding's Turtle (Emydoidea blandingii) heads towards a vernal pool in southeast Michigan. In the spring, Blanding's seek out semi-permanent bodies of water like vernal pools before moving to more permanent sources later in the summer. They can often be seen basking with large numbers of painted turtles in roadside ponds, marshes, and even ditches. The next morning I had to work, but was able to get out in the early afternoon with overcast skies and temperatures in the low 60s. I ventured to one of my favorite locations in the state and before long was treated to a feisty massasauga in a wet meadow. 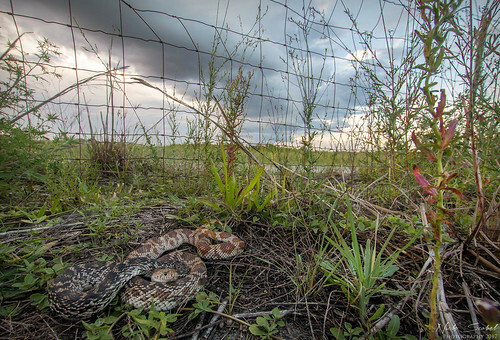 An adult Eastern Massasauga Rattlesnake (Sistrurus catenatus) found basking in a wet meadow on an overcast afternoon. Finding the first two saugas of the year on consecutive days feels like a good omen, as I'll be spending most of my time working a new job that will center directly on them, but stay tuned for more on that later. We're currently receiving freezing rain that should end by nightfall, hopefully it won't be long til we're rid of winter weather and can focus on finding more herps. 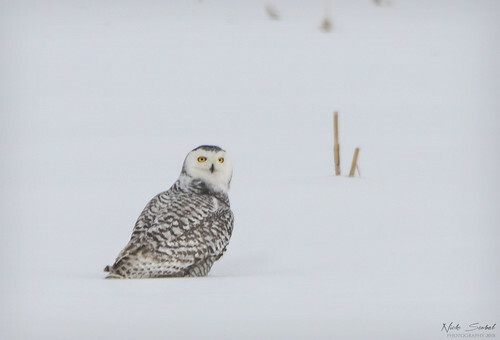 Snowies are always a treat to see in the winter months, and this year's irruption challenges the one that occurred in the winter of 2013-2014 in terms of numbers. Despite enjoying the owls, I was well ready for some warmer weather. We received about a foot of heavy snow on the weekend of February 10th, and a week later were bracing for a powerful storm system which would drop almost 4 inches of rain on southeast Michigan. This along with record high temperatures brought some early amphibians out and about on the night of February 22nd. Jason, Chris and I started our trek in Oakland County, where Chris quickly spotted a young tiger salamander swimming through a mostly frozen vernal pool. Eastern Tiger Salamander (Ambystoma tigrinum) from Oakland County, Michigan. This young male was small, likely last year's metamorph. The rain picked up and Jason had to take off, so Chris and I moved southwest into Washtenaw County. We picked a few blue-spotted salamanders off the road before arriving at a vernal pool we visit each spring. The day before, the pond had been completely frozen but was now mostly thawed. It wasn't long before we found several adult tigers in the pool. An exceptional Eastern Tiger Salamander (Ambystoma tigrinum) from Washtenaw County, Michigan. Tigers are among the earliest breeding amphibians in Michigan and often enter vernal pools that are still mostly frozen. 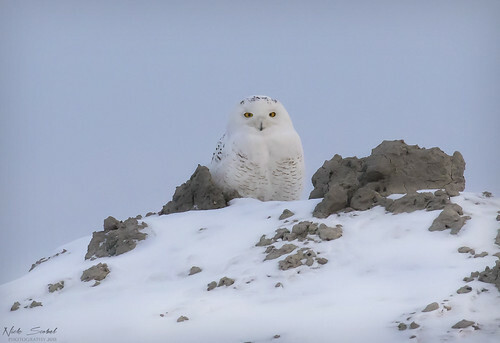 Males emerge first as the ground thaws and head to breeding pools to await the arrival of females in the coming weeks in hopes of having the opportunity to fertilize her eggs. 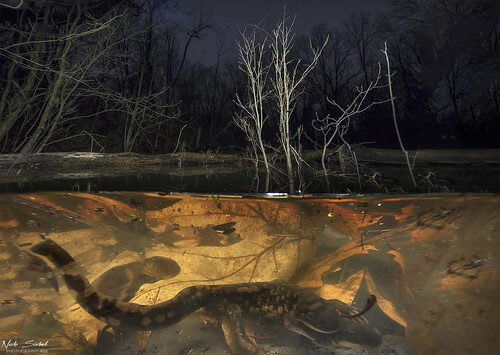 A pair of Eastern Tiger Salamanders (Ambystoma tigrinum) swim about in a vernal pool in southeast Michigan. Watching these tigers do their thing in a mostly frozen breeding pool was a cool experience. 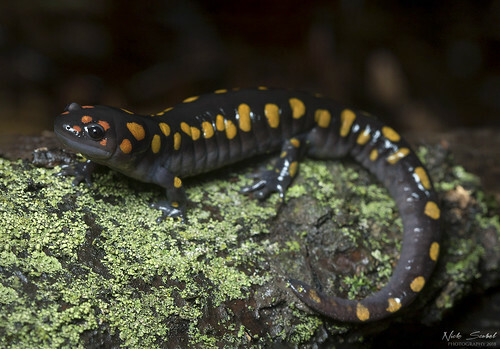 As exciting as it is to observe salamander breeding activity in February, it's also concerning. As the climate changes, extremely fluctuations in weather are occurring earlier each year. 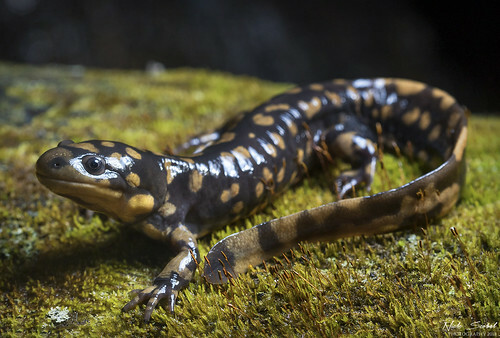 Early bird amphibian breeding is concerning, as it leaves individuals and eggs at risk to deep cold snap events which can wipe out breeding events for a year. When the powerful storm hit, the ground was still frozen, causing massive flooding across areas in southeast Michigan because there was nowhere for the rain and melt water to go. Hopefully, we won't experience any deep cold snaps in the coming month and are well on our way to spring. The dog days of summer are brutal in south Florida. It's opressively hot, humid, and buggy. July and August bring little relief from the rainy season, and trying to find time to herp where it doesn't rain is a challenge. In mid July, I found myself with a free evening and decided to travel west to one of my favorite areas in south Florida. 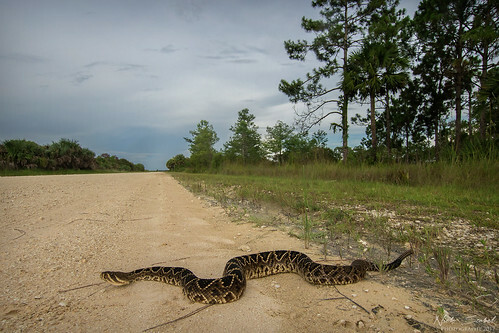 I drove through some heavy thunderstorms but arrived to an overcast sky with heat indexes above 100 degrees Fahrenheit, great rattlesnake weather. On my first pass down a forest road, I was rewarded with this sight. A five foot adult male Eastern Diamondback Rattlesnake (Crotalus adamanteus) from SW Florida. This was an impressive diamondback, one of the largest individuals I've seen in the field. Despite its size, this diamondback was fairly inoffensive. He coiled briefly and then did nothing more than try to crawl away. This is the third individual I've seen at this location, all of which have been large males. 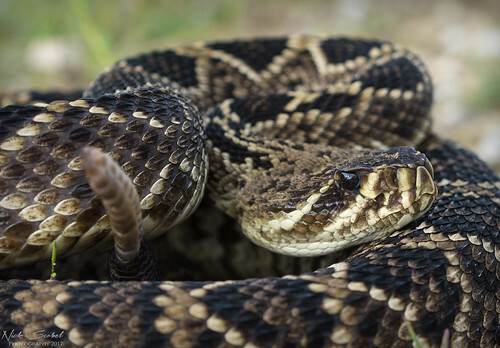 An adult male Eastern Diamondback Rattlesnake (Crotalus adamanteus) from SW Florida. After a short photo session we parted ways. I continued to cruise for another hour or so, but the forest yielded no snakes so I decided to quit while I was ahead and call it a night. A few days later I was back at it and cruised a small snake that I've only seen a few of. 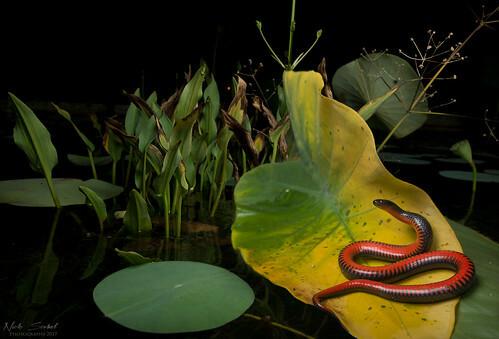 An adult South Florida Swamp Snake (Liodytes pygaea cyclas) from south Florida. A snake that challenges the patience of any photographer, I took my time and was rewarded with a nice photoset. This will likely be the only time that I put in effort to photograph this species. The following week went like any other, I had a free evening and decided to head out with up and comer Taz Rosenfeld, a high school student whose smarts are way beyond where I was at his age. We headed up to an area we've both been to many times before, though the weather forecast looked suspect. A large thunderstorm system rumbled on the horizon upon our arrival, but never got close enough to rain us out. In short order, we cruised a healthy adult corn snake. 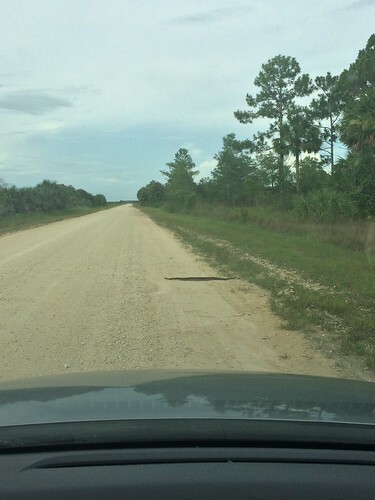 A little further down the road, we noticed a large snake laid out in the sand. The initial thought in my head was a snake I've seen before, but not in July, it couldn't be. But it was. 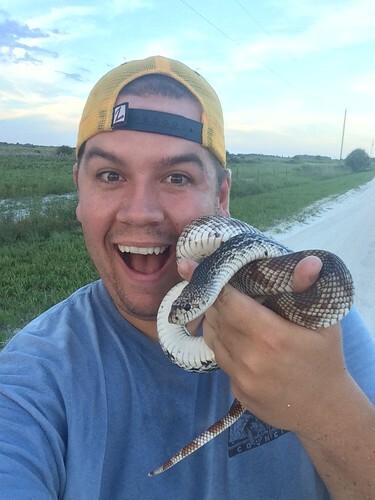 A beautiful four foot adult Florida Pine Snake (Pituophis melanoleucus mugitus), my first live individual from the state of Florida, and from an area they're particularly difficult to find. 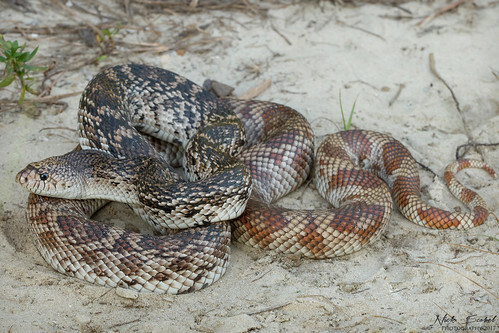 An adult Florida Pine Snake (Pituophis melanoleucus mugitus) from the pasturelands of central Florida. It's funny how certain snakes show up when you least expect them to. 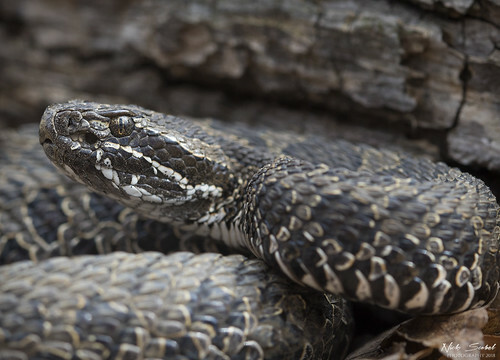 Most people find pine snakes in April-May, and then again in September-October. But to find one at in late July at 6:45 PM with a heat index of 103° Fahrenheit is pretty unheard of. Riding high on our find, we cruised for awhile after dark and were rewarded with this lovely candy cane. 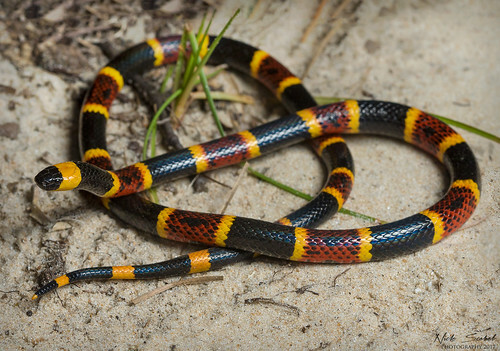 A young Eastern Coral Snake (Micrurus fulvius) from the pasturelands of central Florida. This was the smallest coral snake I've seen, no more than twelve inches in length. It was particularly squirrelly, making it a challenge to photograph. It was a night short on snakes, but the quality of what we did find made up for it. That's it for now, stay tuned for more. 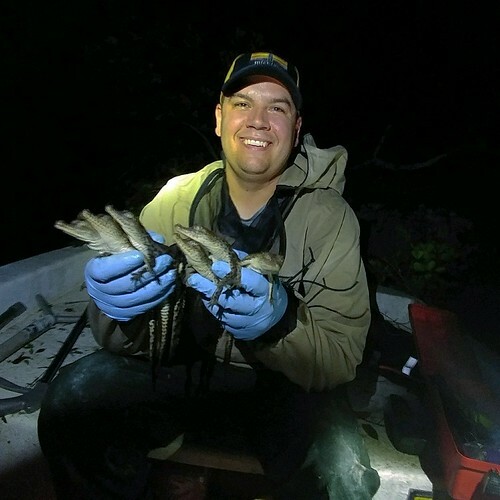 Working as a biologist here in Florida has presented me with a wide array of projects and research to be involved in, I'll eventually post about a project on nile monitors that I headed this past winter. Currently, I'm involved with our lab's alligator and crocodile research, focusing on using crocodilians as evnironmental indicators for Everglades restoration. A facet of that research is a long term monitoring program focusing on population trends in the American Crocodile, a federally Threatened species that has made a comeback from the brink of extinction back in the 1970s. At this time of year, crocodile nests begin to hatch. So, we spend long days in the remote reaches of the Florida Keys checking on historic and new nest sites for hatchlings, the view often isn't too bad. 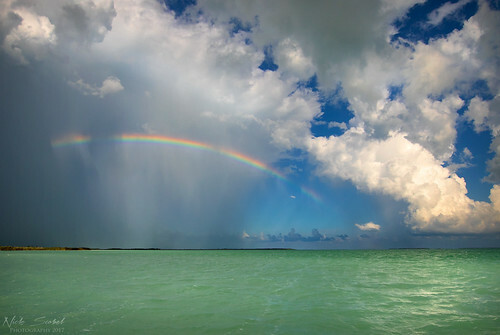 The rainy season in south Florida provides a unique challenge when conducting field work by boat, as there is no place hide. Being from the midwest, storms are fairly predictable and usually move from west to east. But here, depending on wind direction and conditions, storms can arise from any direction and often behave in an unpredictable manner. This large storm raged for a half hour before dissipating before reaching our location. Later on in the evening, we hunkered down for an hour as a large storm passed right over us. But most of the time, it's a beautiful setting to be doing research. Checking a nesting beach on a remote island in Florida Bay. A typical day of croc hatchling work entails driving to remote nesting locations to check on nests. We often see drags and scratching from females at nests that are about to hatch. 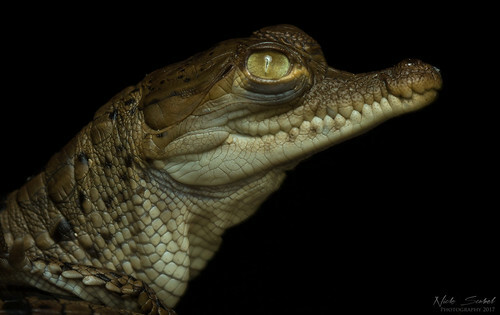 Female crocs return often to nests to listen for the calls of their young, and often aid them in hatching and then taking them to small protected nursery waters where the hatchlings will be safer. Sometimes, we arrive to find the egg chamber dug open with egg shells strewn about the beach, with a few surprises inside the nest. 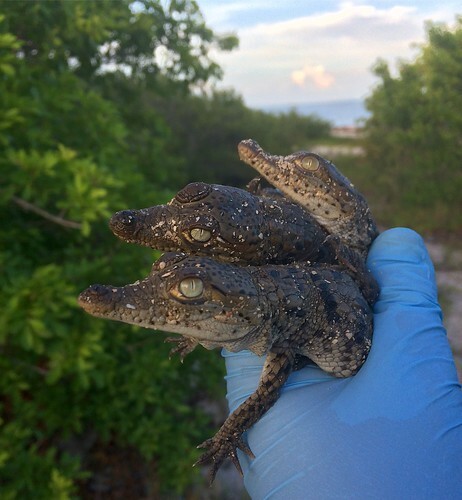 Hatchling American Crocodiles (Crocodylus acutus) from a remote nest site in Everglades National Park. Hatchlings are measured, weighed, and given a unique identification number by a unique clip pattern on the tail scutes. This is part of a long term monitoring program, and we have even recaptured adult crocodiles that were marked in the 1980s as hatchlings! This allows us to track growth rates of crocodiles and monitor population trends. 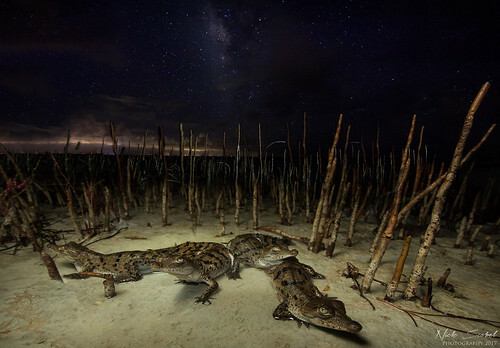 A pod of hatchling American Crocodiles (Crocodylus acutus) explore a tidal salt flat under the stars in Florida Bay. Up close with a hatchling American Crocodile, note the small egg tooth at the tip of the snout. Ready to release a pod of hatchling crocs in Everglades National Park.